These are remarkable times. Canadian commercial real estate continues to set records, assert itself on the world stage and build momentum despite an extended, nine-year bull run and technological innovations that are shaping our physical and digital existence. This is the backdrop for CBRE’s 2018 Market Outlook; a year in which context might be as important as the facts and figures upon which forecasts are built. 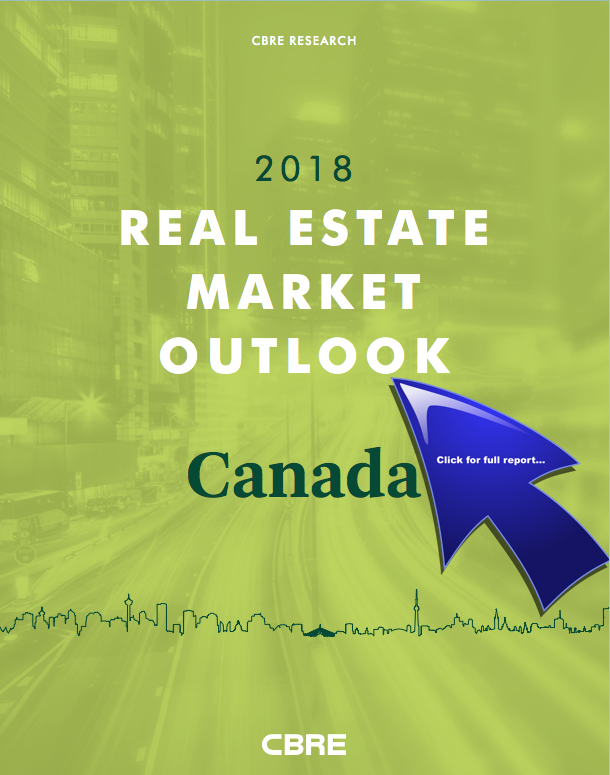 The 2018 outlook for Canadian commercial property suggests that the market has the potential to defy traditional market cycles. The institutionalization of real estate, the diversification of the economy and changing technology have altered the rules of the game. Traditional market analysis would generally cast doubt on the chances of consecutive, all-time record investment volumes. However, in this new paradigm, Canada has the potential to achieve this feat for a remarkable third consecutive year.